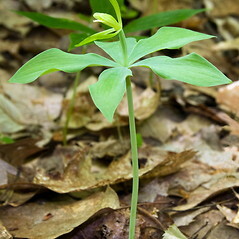 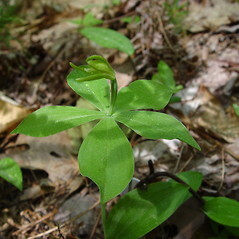 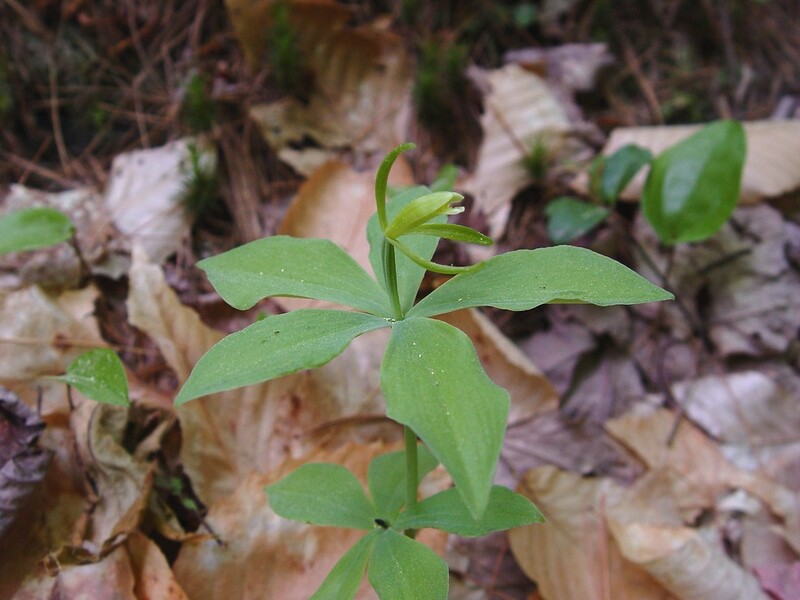 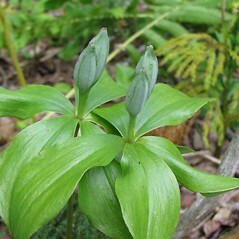 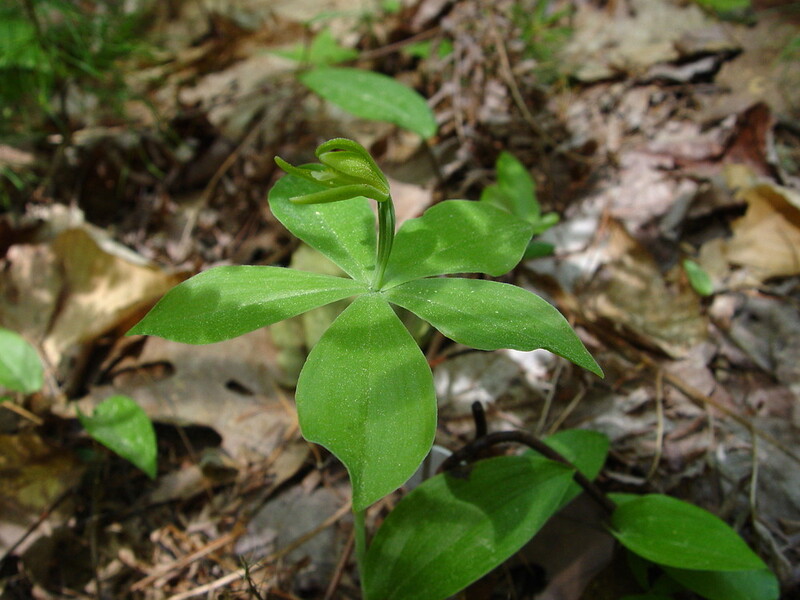 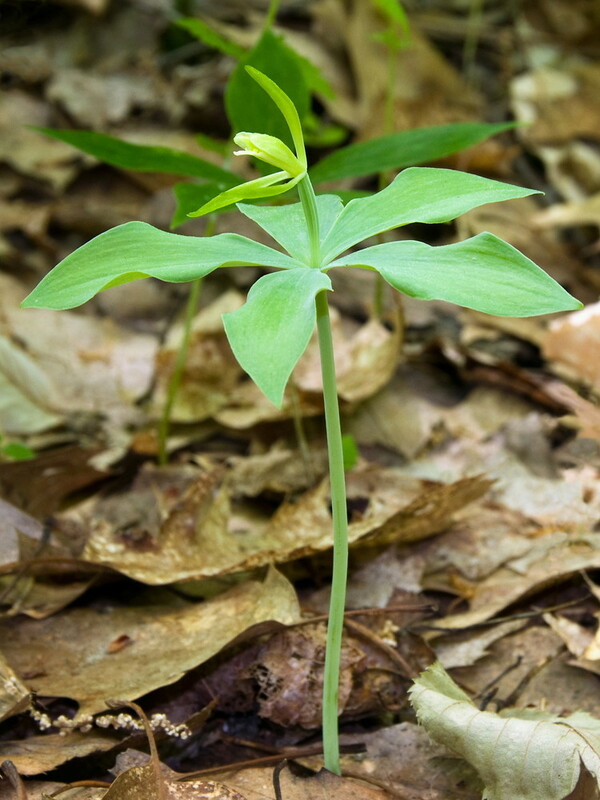 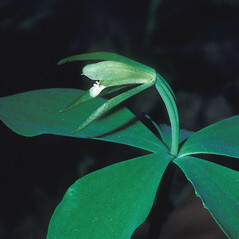 Small whorled pogonia is globally rare, with most of the world's population occuring in Maine and New Hampshire, where it typically grows in young, open-canopy forests, and disappearing from more mature forests. 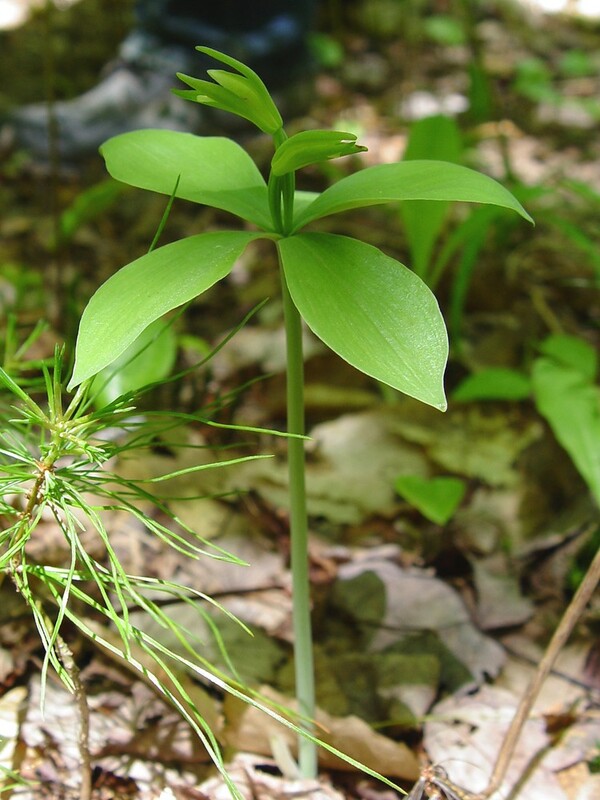 Plant size and reproduction is positively correlated with light levels, and a small test of canopy thinning appears to confirm this, suggesting a potential conservation tool. 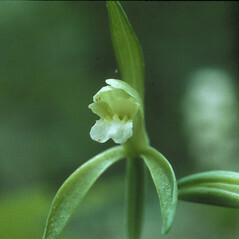 sepals 34–67 mm long, usually green-yellow in the basal portion and red-purple in the apical portion, and labellum 15–25 mm long (vs. 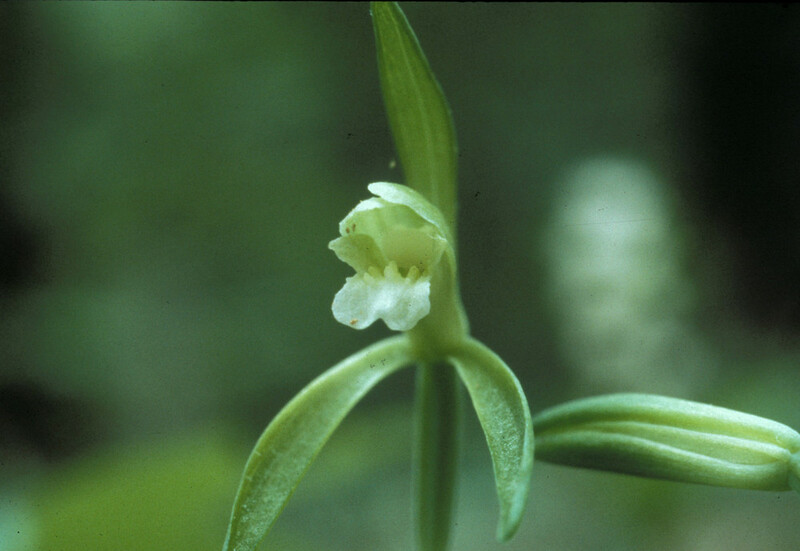 I. medeoloides, with sepals 12–25 mm long, usually green-yellow throughout, and labellum 10–15 mm long). 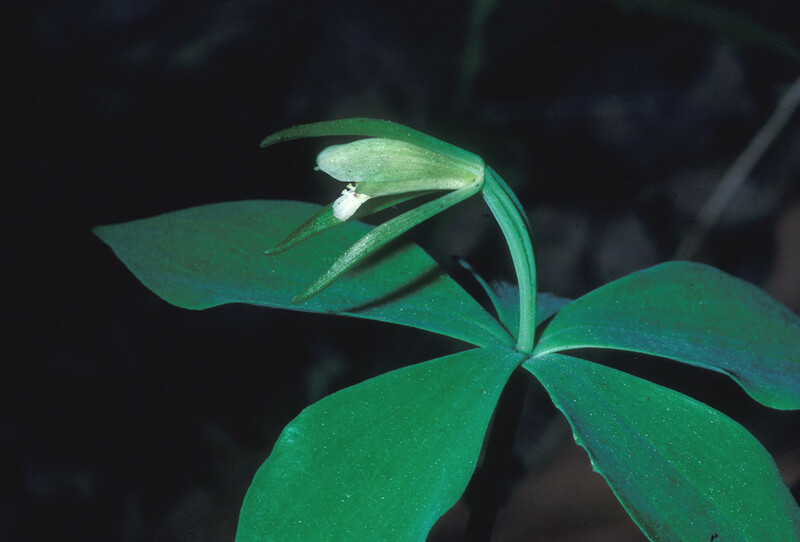 small whorled pogonia. 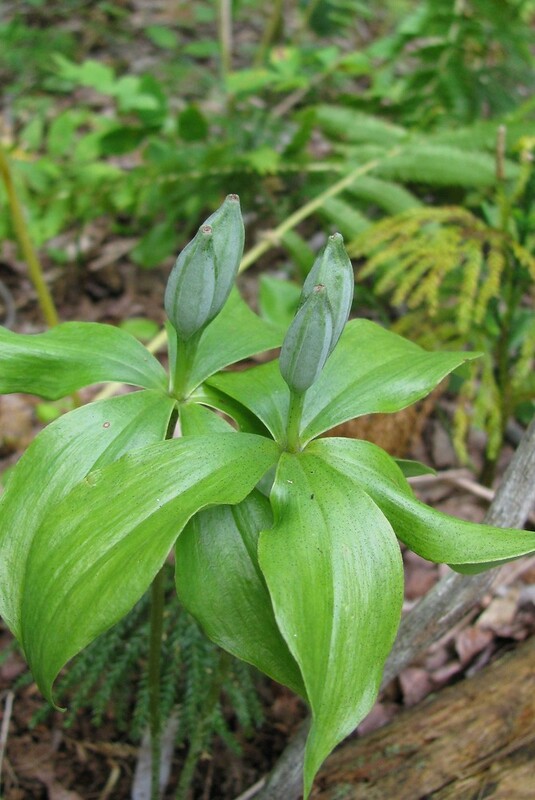 Arethusa medeoloides Pursh; Pogonia affinis Austin ex Gray • CT, MA, ME, NH, RI, VT. Deciduous or evergreen-deciduous, often acidic, forests, usually relatively young forests with an open understory, frequently associated with mild topography and growing in the vicinity of small streams. 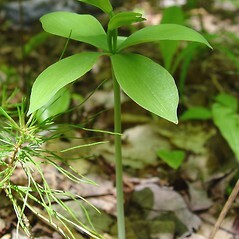 Vegetative plants of Isotria medeoloides superficially resemble Medeola virginiana. 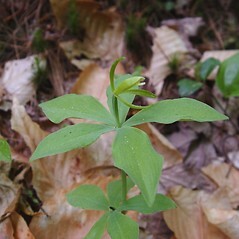 The former has glabrous, hollow stems that arise from short rhizomes, while the latter has pubescent, solid stems that arise from a white tuber.